Enerpower are delighted to have installed a biomass wood boiler heating system at Beckman Coulter Laboratories in Co. Clare. International company Beckman Coulter approached Enerpower in order to provide a heat solution for their recently expanded plant in Co. Clare. 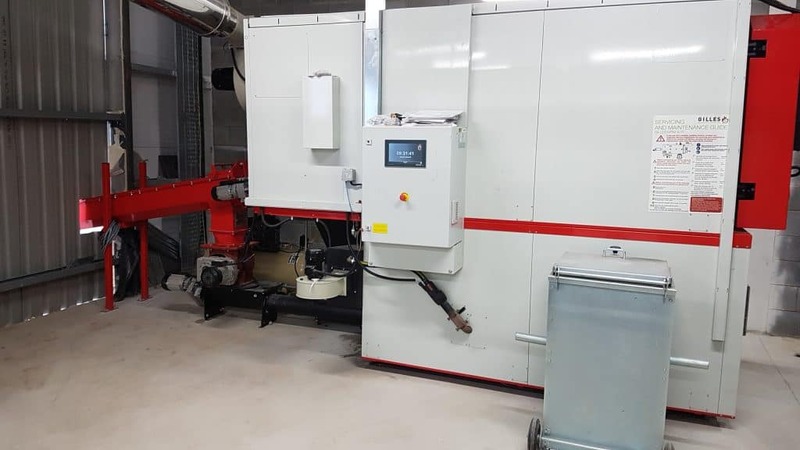 Enerpower worked closely with the team to install the ultimate solution of a Gilles underfeed firing biomass heating system to the newly added 6,700sq meters to the facility. The Gilles HPKI-K 550 biomass boiler is a fully automatic underfeed firing with multi-cylcone and flue gas fan, biomass heating system. The primary and second air are regulated by means of individual dampers. 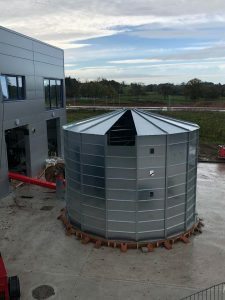 Also, during the installation of this biomass boiler system, Enerpower worked closely with a local company and installed a biomass silo system. Click here to read more technical information about this installation. By using biomass technology, your business will become more environmentally friendly because biomass wood boilers use a renewable resource rather than fossil fuels. A completely sustainable way of generating heat, the biomass fuel supply can be generated quickly from local agricultural/forestry activity. Through our partner Gilles, we provide a wide range of biomass renewable energy products for industrial and commercial biomass boilers ranging from 12.5 kw up to 5,000 kw ( 5mw). Beckman Coulter now have the ideal biomass heating system for their commercial operation. It is very simple, fuel is extremely cost-efficient and also works at protecting the businesses impact on the environment. By looking towards a renewable energy technology for your energy requirements, you can reduce your costs by up to 50% per annum as well as ensuring increased energy efficiency and promoting a positive green image for your company. The upcoming Support Scheme for renewable heat will also ease the transition for companies to the renewable energy and specifically biomass boiler systems. If you would like to generate renewable energy for your business and be financially rewarded for doing so, contact Enerpower on 051 364 054. Enerpower can carry out a detailed survey at your property and offer you a bespoke solutions with renewable energy technology that suits your business and circumstance.